Another year, another bout of the NBA 2K franchise’s most popular and talked-about mode: My Career. 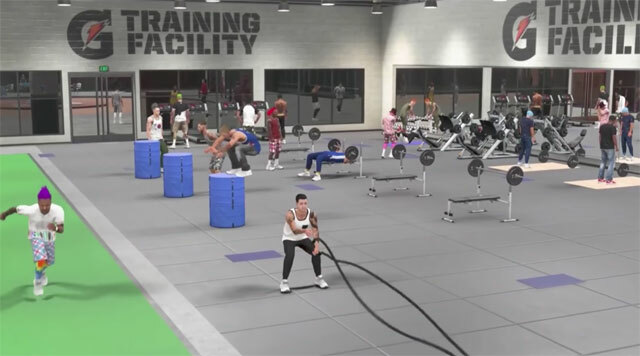 This role-playing mode has for years defined the franchise, allowing gamers to build their own prospective NBA superstar from scratch, and guiding them up towards NBA stardom and the illusive 99 rating. 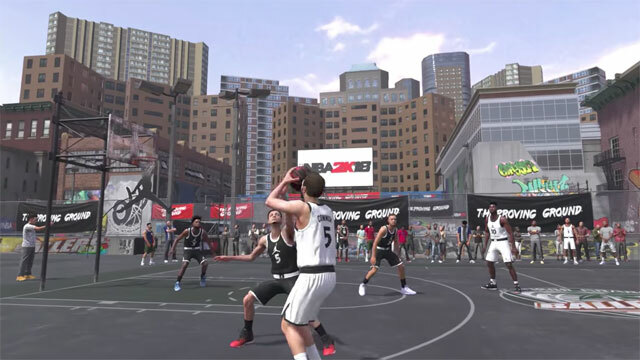 The mode has always been a bit of a grind, and 2K Sports continues to evolve and change the way the mode plays out and evolves. 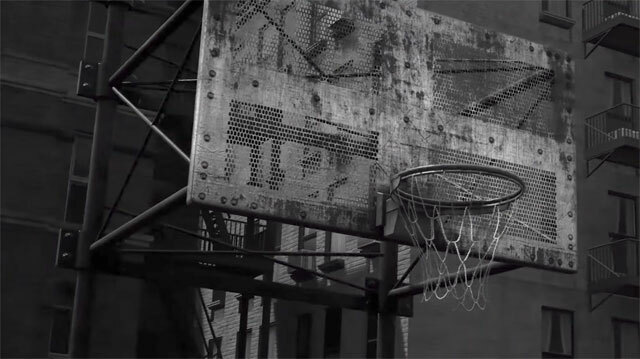 We’ve moved on quite a bit from NBA 2K16’s Spike Lee outing, and last year’s game continued on the narrative-driven experience that, for better or worse, made for a more linear My Career challenge. 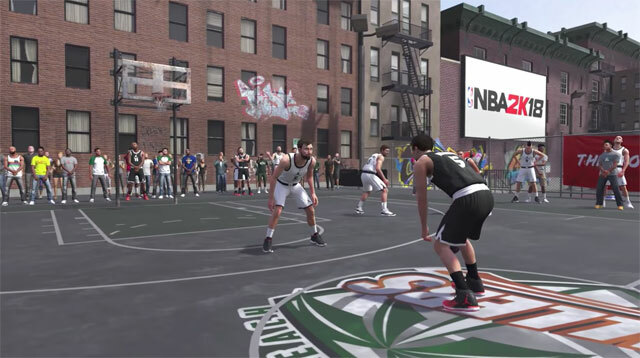 In NBA 2K18, things are a little more grounded and personal, with more of a focus on gameplay and progression, making for a far more streamlined and engaging experience. The key to the initial play creation moments is to not get caught up and intimidated by what’s on offer here, because you ultimately want to create a player that is well-round, but also balanced next to the general expectations of the position. 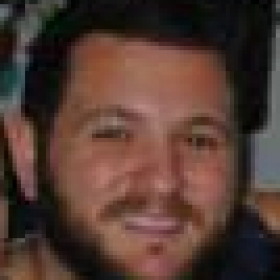 Mainly, you want to create a player that really encapsulates how you play NBA 2K, not how the game wants you to play. Before you step out onto The Proving Ground, think about the kind of player you want to be: do you want to control the play, distribute and dictate the terms of a match? Then Point Guard (PG) is for you. If you’re after less responsibility and want to move off the ball and shoot off the dribble a little more, then SG or SF are probably for you. Both of these positions demand defensive accountability and perfect off-ball movement, so there’s a strong obligation on this end to really understand how to run effective screens and help your teammates. A PG, for example, needs to directly execute and call the pick-and-roll more often. Then there’s the C and PF positions, both of which are completely different beasts. These positions hit the boards, set screens, play account D in the low post, defend hard, and demand the ball in the low post. Not being proficient in these areas can hurt your team and drag down your teammate rating. Every position has its range of pros and cons, but it really depends on what type of play you want to be. This part is where the player creation suit can be a little intimidating, but it doesn’t need to be. Mainly what you want to do here is choose two skills that make for a realistically balanced player. For example, a PG with “Passing and Ball Handling” as a Primary Skill is going to increase or decrease the maximum attribute cap for skills more or less relatable to the skill itself, respectively. The “Passing” attribute, for example, is an important skill here, whereas “Blocking” is less so. If you were to go in that path, it probably wouldn’t make much sense to go with a Skill more suited to an SF or C.
So what do you want your player to be? A “Defending” and “Post Scoring” center? What about a “Driving & Finishing” and “3Pt Shooting” guard? It probably wouldn’t make much sense to go with a Post Scoring and Passing PG, so hopefully this all makes a bit more sense for you now. If you’re an impatient player, a PG, SG or even an SF are probably your best options. That way you can get your hands on the ball a bit more. As a C and PF you’re really at the hands of the guards, although your teammates tend to pass the ball to you a bit more in NBA 2K18. 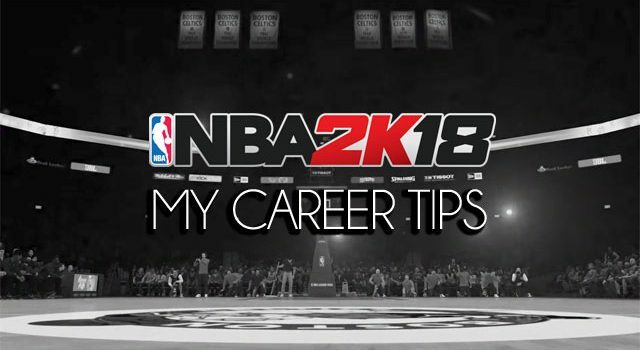 The Proving Ground in NBA 2K18 My Career is more like a cool aesthetic to get you started and help you learn the basics before you enter the NBA. So long as you don’t absolutely stink it up, you shouldn’t have any issue progressing onto the next round. It doesn’t matter how well you perform in the matches: you’ll almost certainly be celebrated for your performance. While your performance won’t really dictate where you end up because your chosen team is where you eventually go, there is the opportunity to really learn how to play and make the most of the experience before you move into NBA practice. In that case, don’t force your shots, make bad passes or spam the pass button off the ball. Play it safe and stick to your strengths. You never know: you might creep into the starting 5 really quickly!